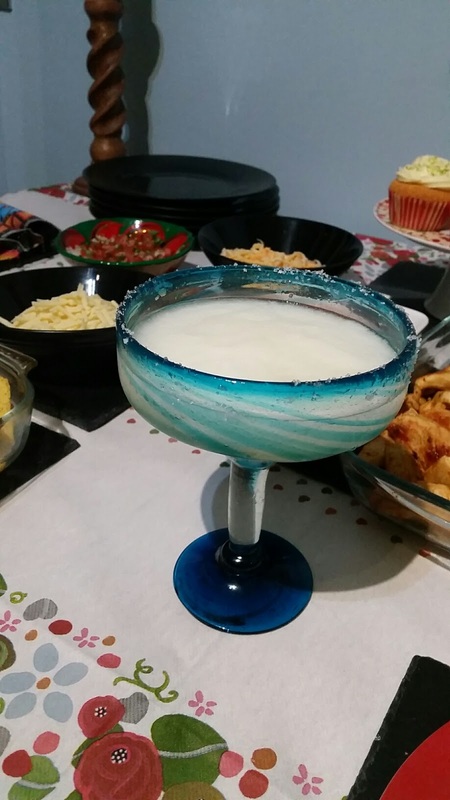 Readers, it’s been a week of blogger challenges since coming back from Mexico. All very exciting though. Back in September Ocean Finance got in touch to let me know about a blogger challenge they were running. Having done some research and discovered that the dining room is the least used room in the house, they are on a mission to bring back the dinner party with the help of bloggers across the UK. 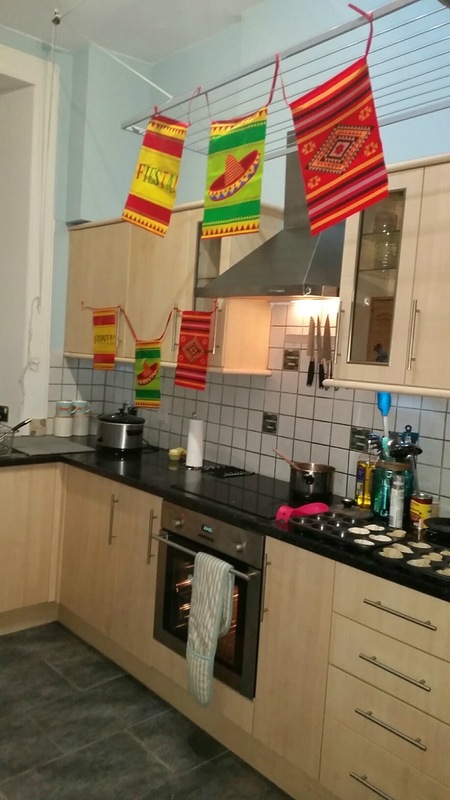 We moved to Glasgow in August and found ourselves the owners of a massive kitchen – not bad for a 2 bedroom flat, which luckily fits a dining table. Our old pad had a separate dining space and we loved having friends over for dinner. There’s something very social about getting together, sharing food and putting the world to rights. 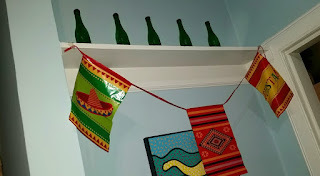 We’d originally planned a formal sit down affair on Friday but having just returned from the aforementioned Mexico, we took inspiration from our Mexican friends and went for something a bit more fun. That’s the thing – dinner parties have a reputation as formal, old fashioned and stuffy. But they don’t have to be. On Friday night, I made enough food to feed a small army and laid it all out buffet style. Our group got stuck in and did several rounds. To start the night off, I made prawn and chorizo appetisers – so easy to make, chop chorizo, buy uncooked prawns and cook together in a pan on the hob for 5 minutes. 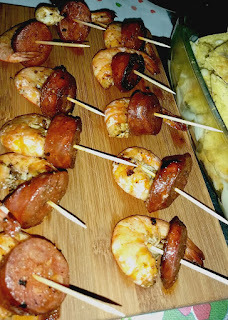 Allow to cool slightly, then string onto skewers. Also readers, take note… the nutribullet is great to make frozen margaritas… potentially not its intended use, but a great way to impress your guests. Mains were a sharing affair too. We had a taco stuffing station, fajita making and mini chilli bowls. The chilli bowls went down a treat and were gluten free. It’s not too tough to accommodate special diets. We have a gluten free friend and managed to make the whole meal gluten free, by adapting the wraps, making the fajita spice mix from scratch AND did you know taco shells are made from corn, not wheat? Perfect for a wheat and gluten free diet. 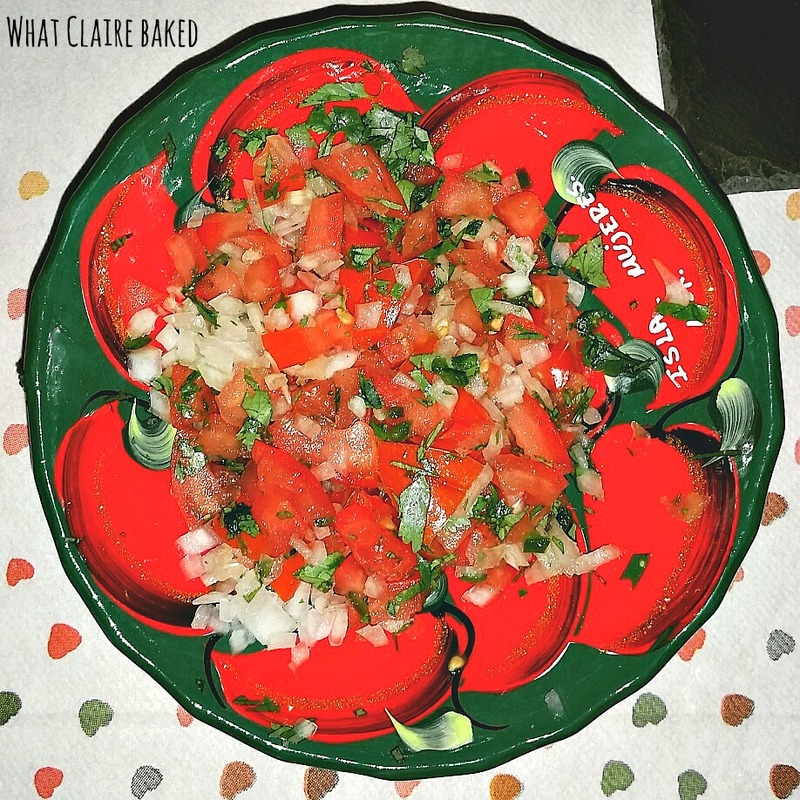 Back to the chilli bowls – take gluten free wraps and cut them into circles. Grease a muffin tin with sunflower oil and put a wrap in each, microwave rice and put a teaspoonful into each, then top with homemade chilli and cheese. Cook in the oven for 15 minutes until the wraps are crispy and form a bowl shape. They are great as a side dish and any leftover chilli that don’t make the bowls can be frozen and enjoyed with a baked potato at a later date. 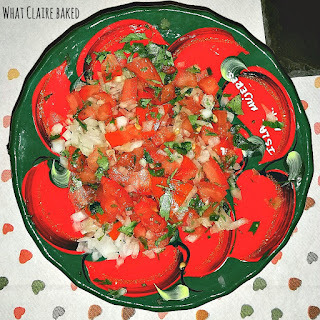 In Mexico we tried some amazing pico de galo (salsa to everyone else). I made some for dipping. It was really tasty – far better than the shop bought version which can be gloopy and not fresh. 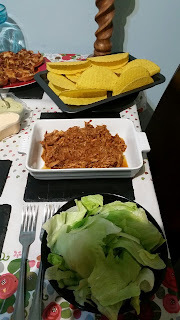 The tacos went down a treat – I served pulled chicken. Passata, spices and chicken thighs went into the slow cooker at 8am. I went to work and left it. 11 hours later, the sauce had incorporated and the chicken was so tender, it was ready for pulling apart and stuffing with lettuce and dips into shells. 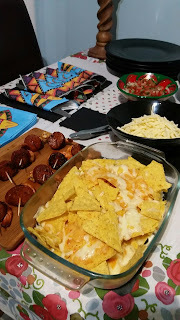 I also made some nachos – buy value tortilla chips, grate cheese, layer up and place in the oven. Remove when cheese is melted, then top with jalepeno peppers, salsa, sour cream and guacamole. Dig in. 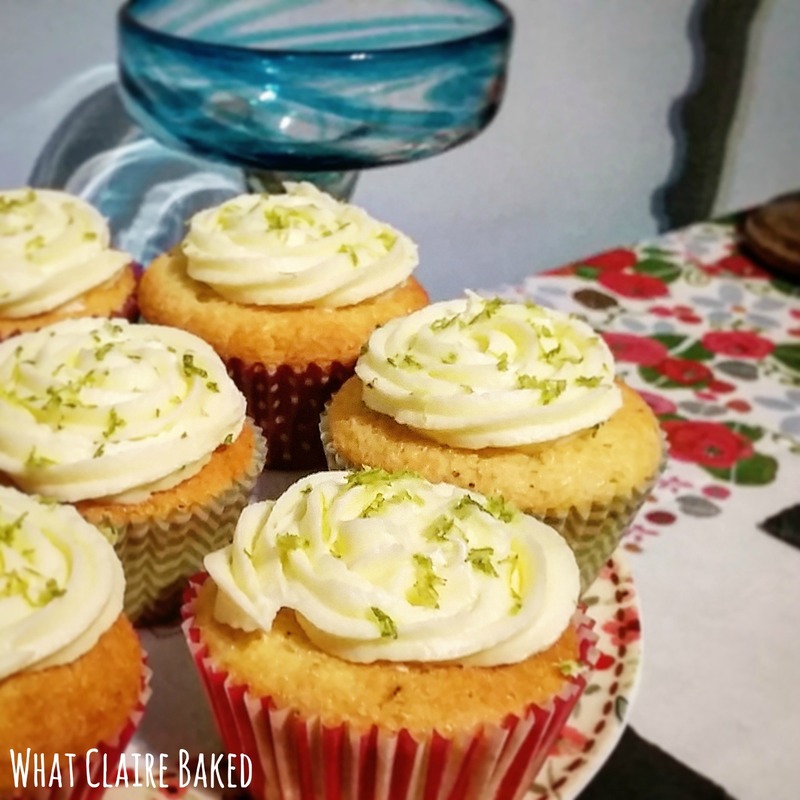 Dessert was a simple affair – I made mojito cupcakes. I’ll share the recipe on another post soon, if you want to give them a go too! Time spent in the kitchen – 2.5 hours (half an hour in the morning, prepping the pulled chicken and two hours before the guests sat down). Total spent - £48.76 including some beers and mixers for the party. I also invested in an inflatable sombrero beer cooler, fiesta bunting and sombrero napkins to add to the Mexican vibe. “A great night, the food was ace”. 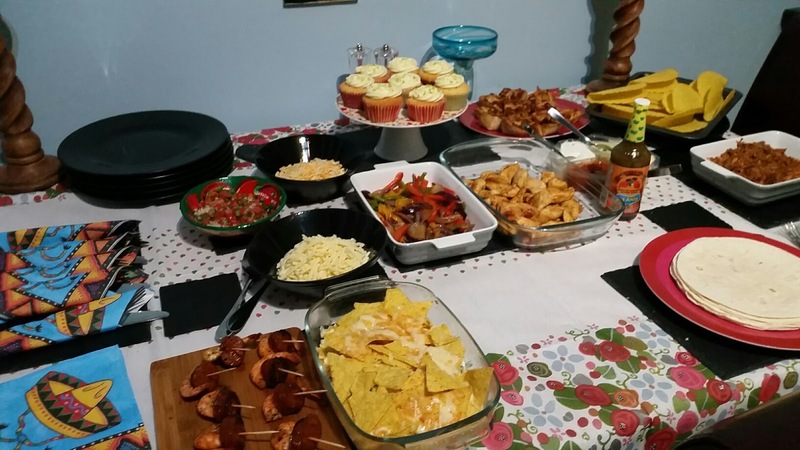 “It’s lovely to get everyone together and share some food”. “Sometimes it’s nice to stay in, rather than heading out”. So, all in all a success. The night made the £50 budget, the group had a great time and the dust was blown off the dining table… It’s functional, not an ornament! Disclaimer: I received a contribution from Ocean Finance towards the cost of the dinner party. Any opinions expressed are my own.